In the land of Nizams and Maharajas, why not celebrate love the way royalty does? Indulge in a royal honeymoon in India – eating caviar, drinking high teas, riding on elephant backs, dining with the royalty and more. Spend the most precious moments of your life like the erstwhile Indian kings and queens, enjoying world-class facilities at your preferred venue alongwith the impeccable hospitality. Create timeless memories with your loved one during your stay at heritage properties anywhere in the country such as Rajasthan, Delhi, Agra etc. 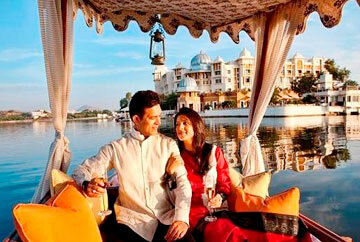 Indian Holiday offers well-planned royal honeymoon packages for newly-wedded couples. 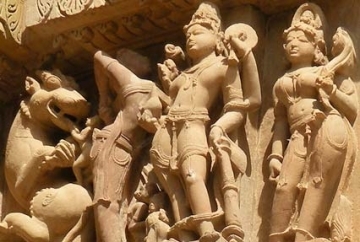 The Royal Honeymoon in India features the grandeur of the expansive desert along with the blues of the oasis, the symbol of romance the great forts, princely palaces, handsome havelis, mesmerizing museums displaying the royalty of the state and the bravery tales of the Rajputs who defied death for their love.